Off for one of our favourite walks. I love returning to the same spots through the seasons, it is so fascinating seeing the landscape change. The pond at the start of this wallk is absoloutley smothered with leaf fall and the lichen is looking furry and magical on the branches. The corn field looks so beautiful too. A lovely natural lichen frame, nature is so clever dont you think? We slide our way along the lanes, boots bogged with mud! Until we are rewarded on the peak of the hill by the first glimpse of a favourite place. As we look down across the rain soaked field the wind whips up and begins to gust, Him down the Lane says "We had better get a wriggle on!" as the skies darken. We marvel at the old stocks in this wall every time we pass it and never get bored looking at all the colours and how beautifully made they are. The wall is dead straight too considering how long it has been there! Oh and look at the scrolls and curls on this gate. These are a tantalising few views of the very wonderful Penshurst Place if you are ever in our neck of the woods do try to visit it's brilliant inside and out! Set in the rural Weald of Kent surrounded by picturesque countryside and ancient parkland, Penshurst Place and Gardens has changed little over the centuries. This mediaeval masterpiece has been the seat of the Sidney family since 1552 and retains the warmth and character of a much-loved family home. 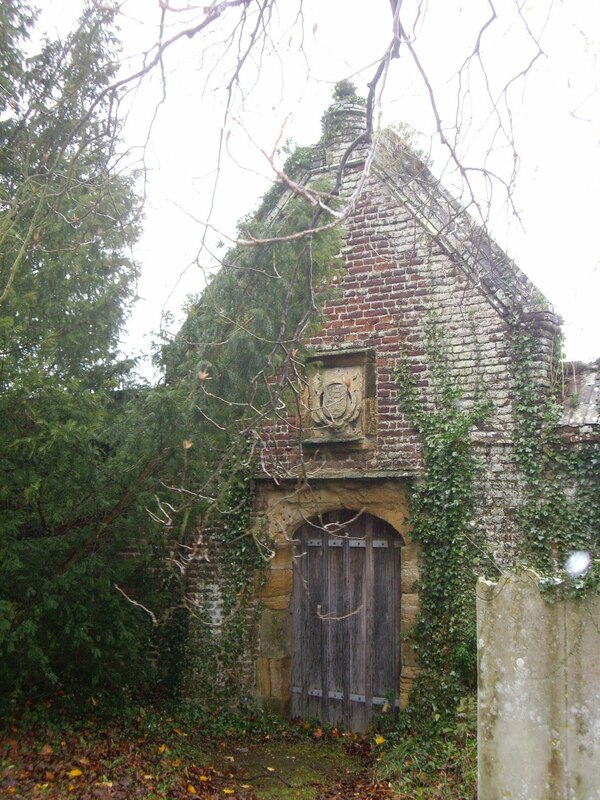 Today, Philip Sidney, Viscount De L'Isle, continues the family guardianship of this wonderful old house and garden with his wife Isobel and their two children, Philip and Sophia. If you are interested I think this is the most beautiful and accurate description. Weather is looking even more ominous! Remember my Secret Garden Post? Well the lucky De L'Isle family have their own entrance into the churchyard from the house which is discreetly tucked away to the right of the church-yard. I think it looks very gothic! Their very own locked gate leading into their gardens. Mary would approve I am sure, provided she was able to find the key to open it. Heading back towards home now we make the pilgrimage past a special tree. So ancient he needs a walking stick! The Sidney oak, in the grounds at Penshurst, is said to have been planted on the christening of Sir Philip Sidney but it is, in fact, much older. Acorns from the Oak have been planted all over the world by well-travelled members of the Sidney family although it was already 500 years old when the Sidney's first came to Penshurst. Now nearly 1000 years old there are plans to genetically clone the Sidney Oak as it is currently in a very sorry state. He looks so magisterial to me. Still standing resoloutley in all manner of squalls and storms and witness to so much English History. I like to nod to him as I pass, as I would to any distinguished gentleman of great age. Even his plaque is looking a little weather beaten these days. Fifty important trees were chosen as part of the Celebrations for the Queen's Golden Jubilee in 2002. I may have lingered here a little too long, here comes the storm! Despite my best efforts these pictures look very still and yet the winds were swirling and the rain was lashing through in great curtains of seived water! Fortunately I was with Ray Mears sorry I mean Bear Grylls who was able to find the very spot to shelter out of the wind and rain. It seemed to take an eternity to blow through and then just as he predicted it would the sun came weakly back for long enough that were able to made a break for it. Technically speaking the Sidney line died out with Jocelyn Sidney, 7th Earl of Leicester in 1743. 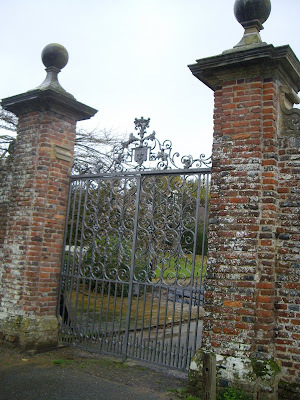 None of the sons of Robert Sidney, 4th Earl of Leicester, produced a male heir so Penshurst was passed through Elizabeth Sidney (1713 - 1781), the daughter of Thomas Sidney and Mary Reeve. She married William Perry and Penshurst passed through their daughter Elizabeth Jane Perry. Elizabeth Perry became the second wife of Sir Bysshe Shelley, grandfather of the poet Percy Bysshe Shelley. He was descended from one of the grand-daughters of William Sidney and could claim Sidney blood in his veins. He obtained royal permission for his sons to use the Sidney name and crest. Hello! Thankyou for the lovely walk, glad to see you are all wrapped up as it looks quite chilly!Did you know you had been featured on thecozyhouse blog! I'm on it too, what a lovely surprise, I only realised when I popped over to say Hi for following my blog! Have a lovely weekend! What a delightful blog! The pictures are wonderful and I do like your asides and tidbits of information. Oh, it's gorgeous, I feel like I was there with you. When we were kids and lived in England, my parents took us to castles and beautiful old homes etc. all the time. I really miss it, we just don't have places like that here. Thank you so much for sharing it with us, it made my day. Really enjoyed the walk,would love to have been there,rain and all. Lovely walk, wonderful Old Sydney Oak, he must have seen so much in his long life. Thank you for taking us on your stunning and very educational walk, it was a lot drier for us! A beautiful walk Sarah and a part of Kent we have not yet explored. Maybe one day though as it looks so beautiful. Just beautiful! I showed the whole family your pics, especiall loved the tree. Thanks for sharing it all. Love your whole blog and could (and most likely will) spend days reading it all! Thank you so much for the tour..I would love to wander those places. Hope your weekend is full of fun. Thanks for visiting me and I soooooo appreciate your lovely comments. Thanks for sharing your beautiful walk - and the Shelley poem. The trees are marvelous and I love the lichen frame, too. The colors on cloudy and rainy days are so spectacular! Hope your weekend brings another great walk! Would love to have taken that walk with you, Sarah! Love the old tree and I certainly hope they can clone it, although it will always be known for sharing it's acorns with the rest of the world! It seems the storms pick up and pass very quickly there. We usually have a whole day or days of it, can't say that is any better!! Thank you for the commentary and beautiful pictures. Have a lovely weekend! My hubby is from Kent...and it is my dream to visit one day! 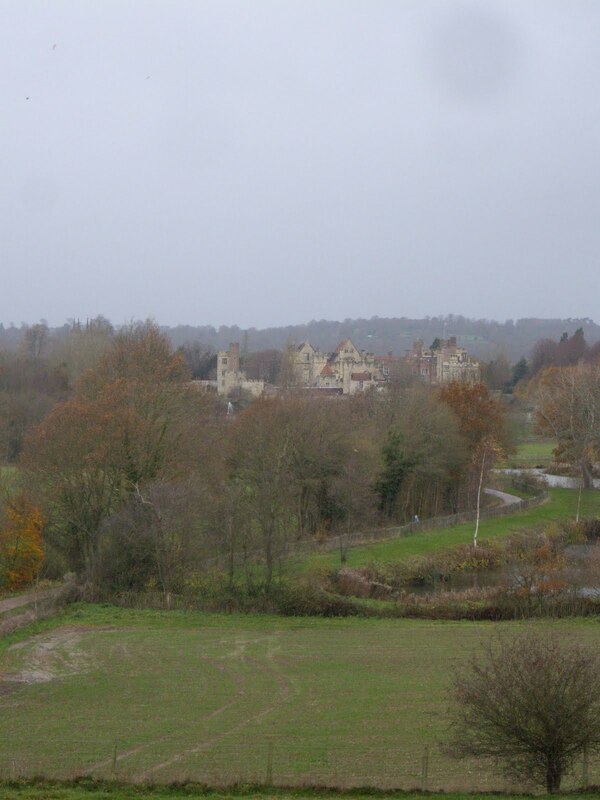 I'm so interested in the English country side, history and weather (including much more). What a fascinating post and the photos are wonderful. The historical details make it a great read. The countryside looks beautiful even in the stormy weather, very fitting for a bit of Shelley. I never knew that about Shelley! That is a lovely part of Kent - really pretty. Was that Mr Lane trudging on a hundred yards ahead, or just an innocent passer-by?! We have been dodging the showers on our walk today, as well - the Princess and I took big brollies, just in case! What a beautiful walk, the pictures are stunning! I did enjoy that virtual walk, it is very much the kind of walks I love going on. Lovely scenery on the way! I bet you slept well that night. The photos are very atmospheric and capture the weather well.